I love the holidays. It’s a time to slow down and enjoy loved ones. But at the same time, one can’t help but feel the hustle and bustle of preparing food for gatherings. Our family had brunch this morning at my mom’s. It was all five of us siblings, plus our other halves, and the kids. This year, there are five grandkids. So we all crowded around in my mom’s townhouse living room. She also has Sophie, my little sister’s bf’s cat. Willow loved seeing her and wanted to touch her the entire time. As for naps, they were terrible. 28 min in the morning and 23 min in the afternoon. I can’t imagine how exhausted she must’ve been. Despite the short naps, she was happy in the car both ways. 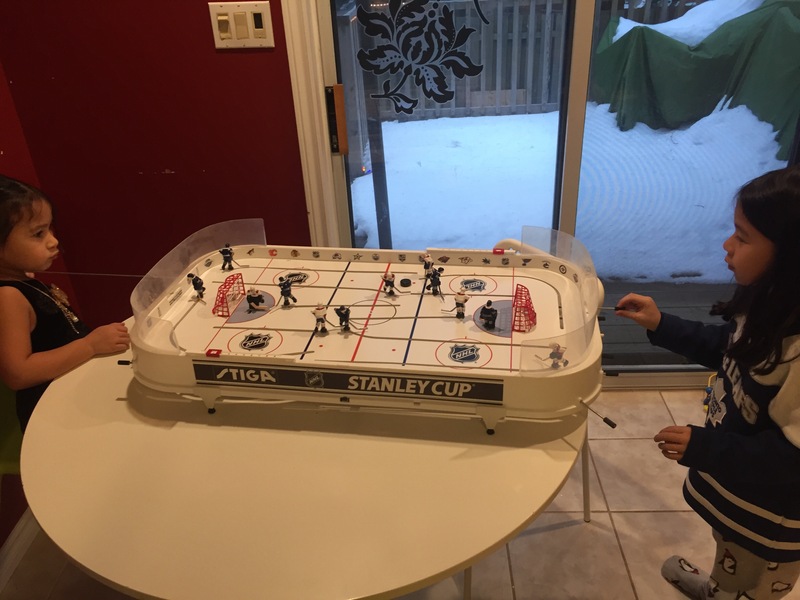 We did gift exchanges for the kids at my mom’s and Z couldn’t wait to put together his NHL hockey table. W wanted to get into it as well so I tried to distract her. 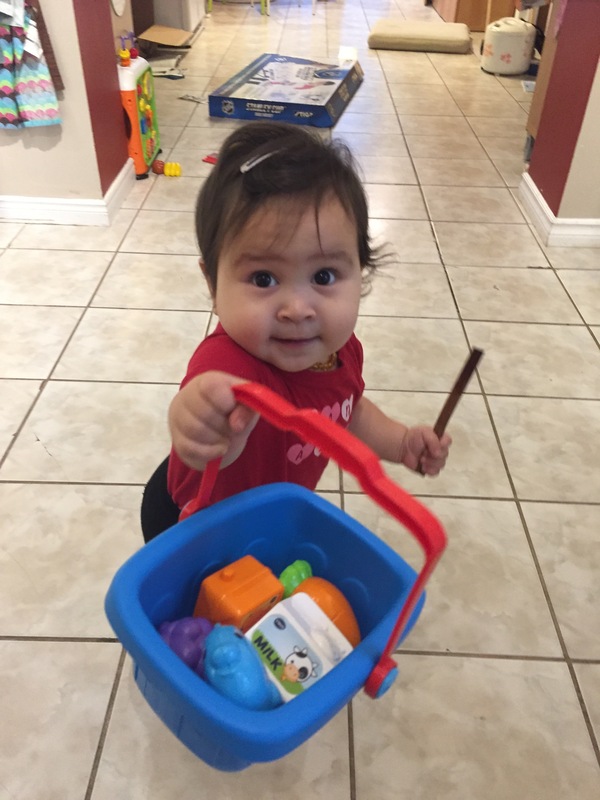 She got a Vtevh basket and cash register. She loves the basket. I had cinammon in a ziploc bag that she saw. And you know how much she loves plastic so I gave her a stick. She loved chewing on it! She held on to it for at least 15 min, chewing on it every so often. This is one moment V and Z were playing nicely. As soon as V picked up the puck instead of using the players, Zander got upset. I was preparing dinner at the same time since B and L were sleeping over tonight. Z and V were so excited about this. 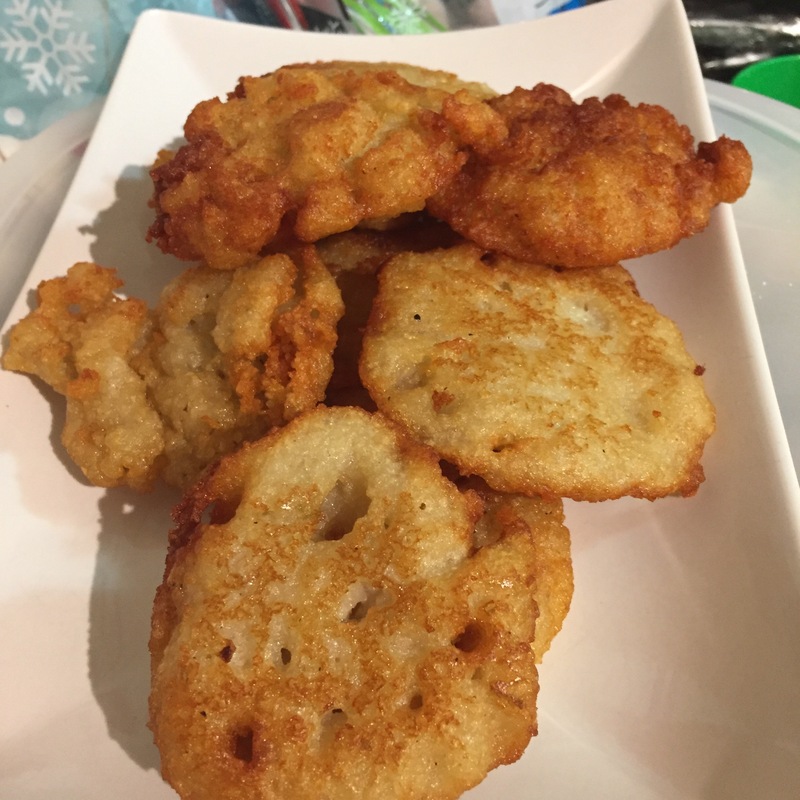 I made latkes for dinner – gluten-free and vegan. Traditional latkes require egg or flour as binding agents. To achieve a crispy exterior and chewy interior, I used Russet potatoes (lower water content) and chickpea flour in our Vitamix blender. Some salt, pepper and an onion and that’s it. I shallow fried them in my cast iron pan. They turned out delicious. After dinner the kids wanted to watch a movie with B and L. So we put on Zootopia and made popcorn. 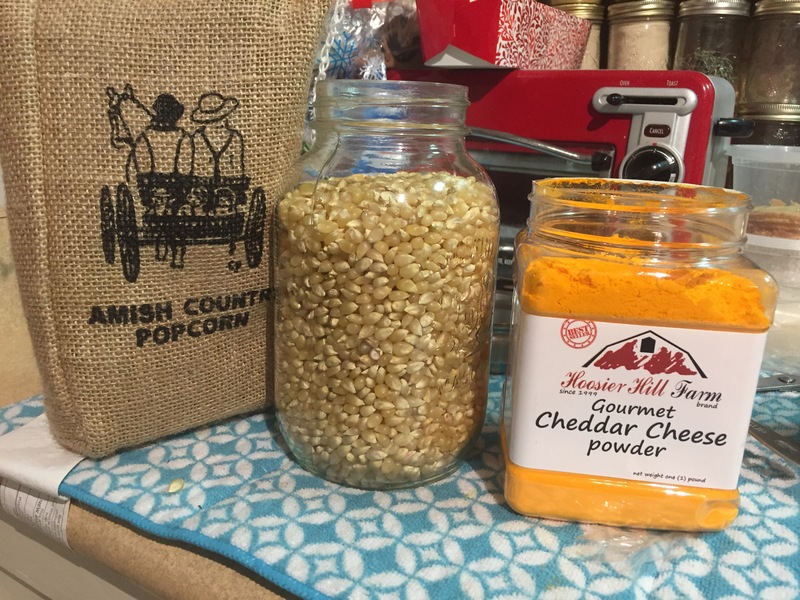 This was a splurge as we normally buy microwaveable popcorn. I don’t think I will ever buy that stuff anymore after tasting these kernels. So much tastier! And that cheese powder, from Amazon, just makes everything taste even better!